Sometimes you get frustrated when the mail in your mailbox shows high electricity and water bills than what it had indicated in your last month. You end up asking yourself rhetorical questions as to why this happened. This is very common for many individuals in the country. Sometimes the bill might double or even triple. If this tendency persists, you will experience serious financial problems. You need to find the cause for the skyrocketing utility bills and formulate the necessary solution to reverse the trend immediately. These are the factors that could be doubling your electric consumption and how they can be solved. Big electrical appliances use significant amount of electrical energy as compared to small devices. Some of the standard appliances that could be causing this problem include big clothes washers, dishwashers, and clothes dryers. Some washing machines have been known to consume between 400 to 1300 watts. The modern energy star rated washing machine uses about 500 watts. If you are using this machine for 0.25 hours a day, you’re washing money down the drain! The solution for big electrical appliances is ensuring that you are using medium sized appliances, which will help in lowering electrical consumption in your house. Some of them, like the dishwasher, should only be used when they fill. You should also choose a moderate wash cycle, preferably once in a day. For clothes washers and dryers, it would be advisable that they are used once every week and they should only be used when they fill. Something that could be making your electrical power consumption to take off could be the persistence use of old appliances. Older electrical devices lack the efficiency demonstrated by new electrical appliances. If you are sticking to the dishwasher that was manufactured in the 90s, get rid of it and buy something new that is energy efficient. Energy efficient appliances currently dominate the electrical appliance market. Most of the manufacturers are producing energy efficient systems so that they can attract customers. It is high time you purchase a new clothes washer and dryer so that you can save on your monthly bills. You might as well notice a better clean from your new machine. Insulation plays a significant role in minimizing your total monthly expenditure on energy. During the winter when it is too cold, your heater might be using much power to make sure your house remains warm. The problem is that all the efforts are watered down by poor insulation that is allowing cold air in the room. On the other hand, your air conditioner might be using much energy to blow hot air out of the house in mid-august, but poor ventilation complicates the matters. This can easily be avoided through proper insulation. You need to contact a professional carpenter who will help you to insulate your house so that it can conserve heat during the winter season without the use of the heater. A professionally insulated house will get rid of hot air without the need for an air conditioner. Therefore, a home with proper insulation can even work without both the air conditioner and heater, which are heavy electricity consumers. Leaking water and gas pipes could be the reason as to why your monthly water and gas bills are too high. The pipe delivering water into your homestead could have busted just after passing your meter reader, which means that a significant proportion of water is draining away. This continues even when all the taps have been turned off. The same could be happening to the gas pipe. The only solution to this problem is making sure that you have justifiable information that you have not used that amount of water, which means that there is a problem. You need to consider Plumbing Conrad Brisbane so that all the leaking problems can be solved. You will only be able to lower the rising water and gas bills if you can consider regular repairs and maintenance of your plumbing systems. Professional plumbers will help you to detect the problem and solve the problem once and for all. Modern houses are characterized by chargeable electronic devices that need to be charged regularly. Some of these devices include smartphones, personal computers, tablet PCs, electric razors, MP3 players, portable game systems, and electric toothbrushes among others. The problem is multiplied if your house is occupied by several grownups, which means that some of these devices multiply. Battery-operated electronics will be sucking energy every time they are plugged in. One of the primary solutions for this is ensuring that all the gadgets are charged to capacity. This will prevent scenarios where a device has to be charged multiple times during the day. Some of these devices, especially smartphones, can even stay for half a day before they can be charged again, which will help in conserving energy and using it efficiently. They should also be charged when they need it; that is when they are empty. Unnecessary charging of electronics will not only consume much power and energy, but it can destroy their battery life. Moreover, you should make sure that all chargers and adapters have been entirely unplugged, especially when they are not connected to any charging device. Some of them will merely consume electricity from the fact that they have been connected to the source. 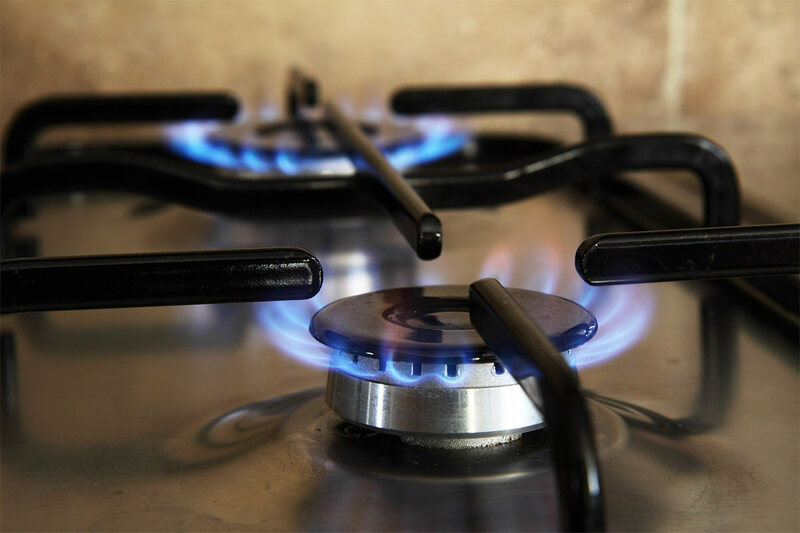 These are some of the factors that could be causing both electrical, water, and fuel gas bills to jump high every month. Some of these factors are seasonal, which means that you should live with them while others are repair and maintenance problems that need to be solved on a permanent basis. You will incur tremendous amount of money to reverse this challenge in short-term, but you will save money in the long term. Treating high utility bills as an emergency is one of the best methods of minimizing monthly expenditure hence realizing long-term financial goals.